We are working with a 3rd party reviewing site that needs tracking done and we need to submit two different form actions for the same form. is this possible? 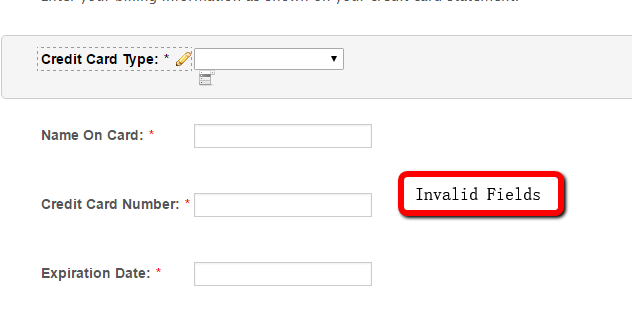 Can you please indicate what exactly would like to accomplish when a users submits a form. We will be glad to help. After the form is submitted, we would like to redirect the form to a specific page with URL parameters. Yes, this is possible. If you press the THANK YOU button on the top tool bar. This will indicate how to can capture field values and pass it using the URL. Sorry if I'm unclear in my previous message. We understand how to do the redirect. 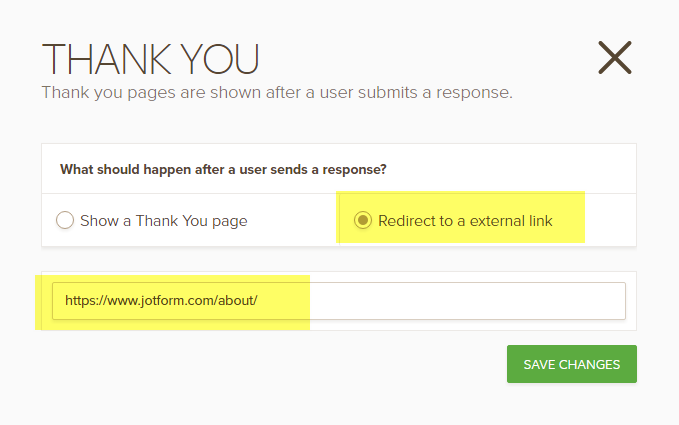 What we need jotform to do is capture parameters in addition to the redirect. We need to do this because our thank you page needs to do additional processing to help a another site's reporting. 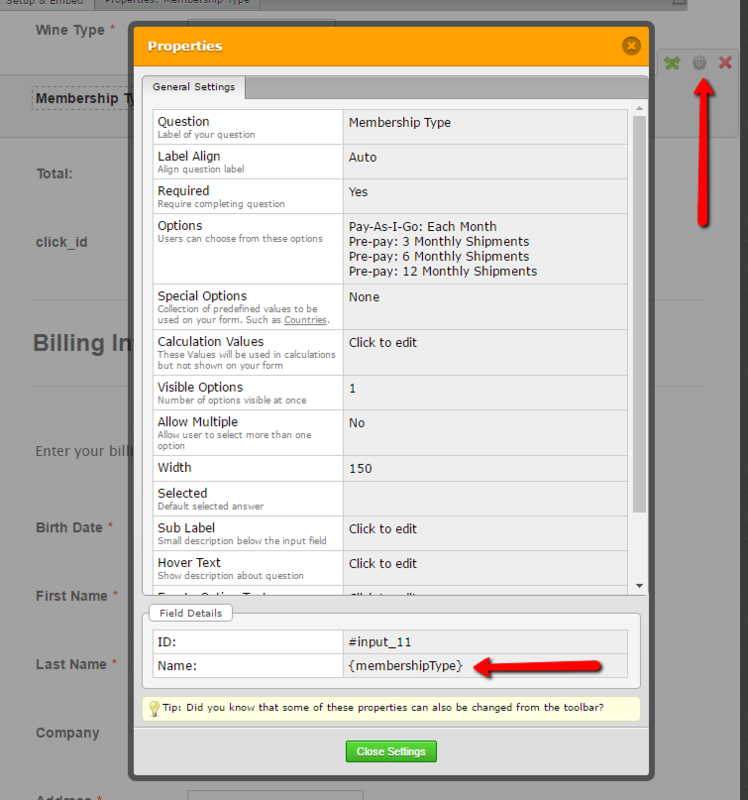 When reviewing your form I notice that following fields. Collecting sensitive information violates our terms and will get your account suspended. Please remove this fields and use one of our Payment getaways to get this type of information. In regards to your issue. You are indicating that you would like to know how to create a URL with some or all the values in the form to pass to your other site. This would be the URL you can place in the Thank you page.